Milligan's origins go back to an academy founded in 1866 in what is now Hopwood Memorial Christian Church on the banks of Buffalo Creek in Carter County, Tennessee. While it began as a private secondary school known as the Buffalo Male and Female Institute, the institution was soon elevated to the collegiate level with the arrival of Dr. Josephus Hopwood and his wife Sarah LaRue Hopwood. Hopwood came to the school with the understanding that it would become a liberal arts college to train leaders for the churches and the communities of Appalachia. In 1881, he laid the cornerstone for an expanded building. At the same time he announced both the elevation of the Institute to collegiate rank and the new name, Milligan College. This name was chosen to honor Dr. Robert Milligan, one of Hopwood's former professors of Biblical Studies at Kentucky University (Transylvania/Lexington Theological Seminary). Milligan College has the rare distinction of being named not for its founder or location, but for a teacher. Hopwood chose the name to honor one of his own former professors, Robert Milligan, who modeled the virtues of Christian discipleship and intellectual formation. Professor Milligan taught his students that learning should be used to develop the potential of Christian men and women to serve Christ and the world. Hopwood, the dominating personality in the early history of the college, and his wife Sarah LaRue, are coined with its enduring motto, “Christian Education — the Hope of the World.” He continued in the presidency until 1903 when he left Milligan to found a college in Lynchburg, Virginia. From 1903 to 1915, Milligan had five presidents, one of which was Henry Rufus Garrett, the first alumnus to serve as president. In 1915 Dr. Hopwood, who had completed the founding of colleges in Virginia and Georgia since leaving Milligan in 1903, returned for a two-year interim presidency. In 1917 Henry J. Derthick became the eighth president of Milligan. During this period Milligan College served many young people from the Southern Highlands. The campus was expanded to some sixty acres, and the facilities of the College were increased. 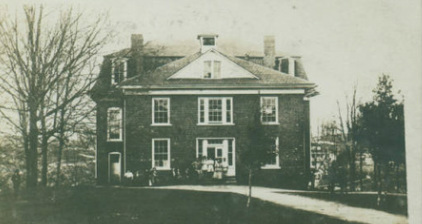 The Administration Building, now called Derthick Hall, was rebuilt after a fire. Dr. Derthick succeeded in bringing the College through the period of World War I and the Great Depression, preserving the academic integrity and quality of the College. The College's main classroom building is named in his memory. Dean Charles E. Burns succeeded to the presidency in 1940, just prior to the American entrance into the Second World War. In the crisis of that period, Milligan offered its entire facilities to the United States Government. From July 1943 to June 1945 a Navy V-12 program was conducted. Milligan was the only college in the United States given over completely to a Navy program. The civilian work of the College was resumed under the presidency of Virgil Elliott in 1945. Two major problems confronted the College at this time. The breaking of ties with alumni and friends during the Second World War proved to be a serious handicap. No less difficult was the task of assisting a large number of ex-GIs to effect a transition from military to civilian life. Dr. Dean E. Walker came to the presidency in January 1950 from a 25 year professorship at the Butler University School of Religion. Recognizing the need of the small college to play an increasingly large part in the educational program of the country, the College adopted a long-range development program. Students were enlisted from a larger area, encompassing most of the States and several foreign countries. During Dr. Walker’s administration the campus was expanded to more than 135 acres of land. New buildings included the Student Union Building, Sutton Hall, Webb Hall, the P.H. Welshimer Memorial Library, the Seeger Memorial Chapel, and Hart Hall. On November 1, 1960, Milligan received the Quality Improvement Award administered by the Association of American Colleges for the United States Steel Foundation. On December 1, 1960, Milligan College was admitted into membership in the Southern Association of Colleges and Schools. In June 1968, Dr. Jess W. Johnson, having served in the capacity of Executive Vice-President for two years, was elevated to the presidency of the College on the retirement of President Dean E. Walker. The campus continued to develop under Dr. Johnson’s leadership. The College constructed the following buildings: The Faculty Office Building (1969), the Science Building (1972), Married Student Apartments (1974), the Steve Lacy Fieldhouse (1976), and Little Hartland (1977). On January 1, 1982, Marshall J. Leggett, a Milligan alumnus, became the thirteenth president of the College. During his tenure, the College offered its first master’s degree, the Master of Education. The College constructed the McMahan Student Center (1987) and renovated the old student union building as Paxson Communication Center. The College renovated the upper level of Hardin Hall to house the Arnold Nursing Science Center. Quillen, Kegley, and Williams Halls were built. During Dr. Leggett’s tenure, enrollment increased 31 percent. Dr. Leggett retired on June 30, 1997, and became Chancellor. Donald R. Jeanes, a Milligan alumnus, became the fourteenth president on July 1, 1997. Under his leadership, the College has continued its momentum. The master’s program in occupational therapy enrolled its first class in August 1998. To accommodate this program addition, the lower level of Hardin Hall was renovated as the McGlothlin-Street Occupational Therapy Center (1998). The Occupational Therapy Program received professional accreditation in 2000. The College renovated Derthick Hall and the Baker Faculty Office Building. The historic Alf Taylor house was renovated in 2003 and renamed the Taylor/Phillips House; it is used as a campus guest house and reception center. The Nursing Program received professional accreditation in 2003; in February 2004, the College began its third master’s degree program, the Master of Business Administration. The W. T. Mathes Tennis Complex was dedicated in 2005, and a new maintenance building was constructed. The Elizabeth Leitner Gregory Center for the Liberal Arts, a 298-seat theatre along with dark rooms for photography, opened to students in 2008. In Fall 2007, the college reached an all-time record enrollment of over 1,000 students. In spring 2010, the Gilliam Wellness Center opened, and the college acquired additional acreage adjacent to the campus, increasing its size to approximately 195 acres. Dr. Bill Greer was named the college's 15th president in 2011. Woven in the college’s historical tapestry are a richly storied past and people of deep conviction and sacrifice. Decades of triumph over adversity underscore the power of faith and the hand of God. 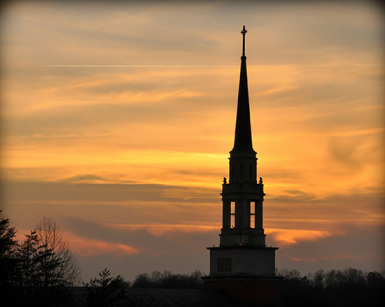 Today, Milligan is a flourishing liberal arts college with a distinctively different approach to higher education. Few institutions share Milligan’s conviction to mold both mind and spirit to develop Christian leaders to change lives and shape culture.